If you have entrusted, for example, an immigration application or appeal to a Solicitor or legal adviser, only for things to go wrong because of your Solicitor or Adviser’s negligence, you may not have only suffered a loss, but will rightly feel badly let down. It may seem a daunting prospect to seek any redress or compensation as claims against Lawyers are known to be complex and difficult and the Lawyer is almost bound to have Insurers and an experienced legal team ready to fight the case. It is important to realise in these circumstances that not all Solicitors/Advisers are the same and that if you had a good enough Immigration rights, which were lost or damaged by a negligent Solicitor or Adviser, you should be able to recover the compensation you deserve, through a professional negligence claim against the Solicitor or Adviser concerned. Causing breach of Orders, Rules or Directions leading to your application or case being damaged or struck out, or costs Orders being made against you Failing to advise on an appeal on time or at all. 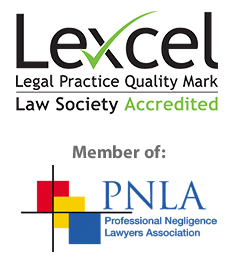 As these claims are often complex it is equally important to choose a Solicitor with sufficient knowhow and experience in similar negligence claims against Solicitors and other Lawyers and legal Advisers to ensure that you receive the right help and guidance and to achieve the best outcome for your case. Firstly, we have dealt with these cases successfully before and know what we are doing. Secondly, in addition to our specialist knowledge and experience we always adopt a personal, friendly and caring approach and are committed to helping people like you. We always put your interests first in trying to achieve the best outcome for you. It is important to use an experienced team when it comes to making any sort of claim against a Solicitor or other legal professional or adviser because these cases are often complex and difficult and the Solicitors and Advisers’ Insurers will use many legal arguments to challenge your claim. This is particularly the case when the subject matter of the claim is a previous Immigration matter. When an Immigration matter goes wrong there are often difficult aspects to the case, which led the Solicitor or Adviser to make a mistake. This gives their Insurers the opportunity to argue that not only was there no negligence, but even if there was, your case would not have succeeded or obtained the outcome which you say was lost by the Solicitor or Adviser. Our team specialises in professional negligence claims against Solicitors and other lawyers, which means that whatever type of claim you need to make we can help. All of our current professional negligence cases are against Solicitors and other lawyers. We have over 25 years experience in pursuing Solicitors negligence claims from all around England and Wales you can feel sure that our team of legal experts can help you get the compensation you deserve. We have specific experience of pursuing claims against Solicitors and Advisers where they have lost the Immigration application or appeal or damaged your immigration status as a result of their negligence. In addition to the expertise of our Solicitors we are able to rely upon the additional expertise of specialist Counsel and other experts appropriate for your case, from our contacts built up over many years. We have a lot of experience in complex cases, which means that whether your claim involves Solicitors, Barristers or other legal professionals your claim will be in safe hands. When it comes to getting the legal advice and support you need we understand the cost is the last thing you want to worry about! We offer everyone a free assessment over the telephone or via email and will even give you advice there and then if we can! Moving on from that if your claim is good enough we’ll give you no win no fee funding – so you only pay solicitor fees if you make a successful claim and most of your costs can be recovered from the losing party! With most legal matters It is better to take action sooner rather than later. We know that contacting a Solicitor can create anxiety itself, which is why you can contact us without obligation. Call us on 0800 043 9981 or dial 0333 577 0172 if calling from a mobile. Complete a Free Online Enquiry or contact us via email on enquiry@matthewwilkinson.co.uk we’ll have a no obligation chat with you about what you need and what you hope to achieve. We’ll happily answer any questions or queries you have and give you advice on how to progress your matter. You can be sure if you contact us that whatever you ask us to do for you will be handled professionally and efficiently, so you can get the best outcome possible without any of the hassle.